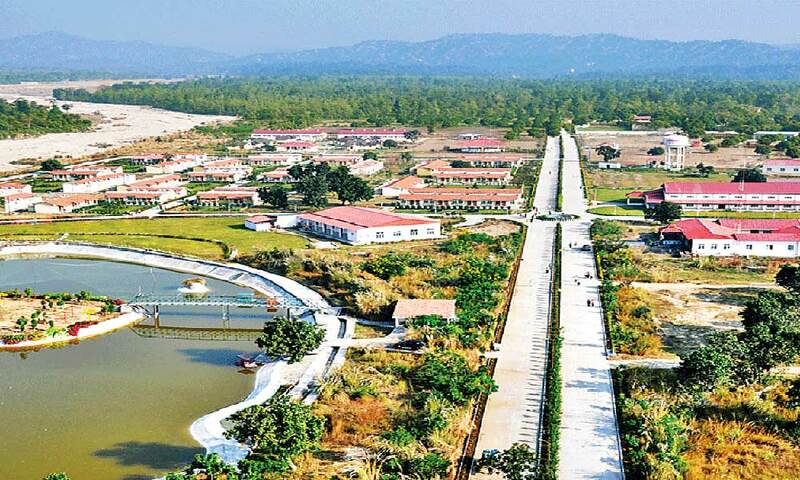 Accommodation : Visitors can stretch their stay in Patanjali Yogpeeth for maximum three days. How to Reach By Air: The nearest airport is Jolly Grant Airport in Dehradun, which is approximately 50 km far from Patanjali Yogpeeth and 54 km far from Patanjali Food Park. Tourist can reach to both places of Patanjali by hiring private buses and transportation from Airport. How to reach By Rail: Nearest Railway station is Haridwar which is 15 to 17 km far from both Patanjali Food Park and Patanjali Yogpeeth. Haridwar is directly connected with all major cities of India. Many various trains are available to reach to Haridwar. How to reach By Bus or Road: A large number of transport, owned and private buses, regular buses, and Air-conditioned and deluxe luxury coaches are available from all cities of India. Tourist also reaches Haridwar by their own car and vehicles. 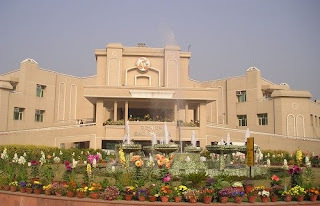 Patanjali Yogpeeth located on the Delhi- Haridwar highway, the place needs no introduction and many people visit here for one purpose or other. Established in the year 2006, this gigantic ayurvedic centre is named after Maharishi Patanjali, alleged inventor of yoga. The enormous yet impressive yoga ashram is split into two parts- Patanjali Yogpeeth- I & Patanjali Yogpeeth- II. Established in 2006 by H.H. Yogrishi Swami Ramdevji Maharaj & Acharya Balkrishnaji Maharaj, Patanjali Yogpeeth- I feature Patanjali Ayurveda Chikitsalaya, Department of Yoga Research & Development, Department of Ayurveda Research and Development and various other facilities like canteen, guest houses, laundry, parking, ATM, etc. The centre is also renowned for rendering services free of cost to millions of people around the world through the means of Ayurveda and Yoga like Yoga classes, Yoga science camps, Ayurvedic consultancy, residential and food facility to the poor, transportation, library access, and training in the field of Medicinal Plant Agriculture & Panchgavya. Patanjali Yogpeeth- II, a fully furnish campus, was established in 2009, with a purpose to provide accommodation to thousands of Yog Science Camps participants. The vast institution also manufactures FMCG products called Patanjali Ayurved. All over India, there are around 15000 franchise stores that sell its products. Few kilometres away from the Patanjali Yogpeeth is Yog Gram, a naturopathy centre formed by Baba Ramdev. Yog Gram centre was inaugurated on June 8, 2008, by the Sh BC Khanduri, former chief minister of Uttrakahand. Pyramid Therapy, Magnet Therapy, Reiki Therapy, Pranic Healing, Colon Irrigator Hydrotherapy, electro- Physiotherapy, are some of the therapies that are offered by the institution. Unique residential area for 525 people is also a part of Yog Gram. A stay in the Yog Gram is a great way to rejuvenate and revitalize body, mind and soul, and the great way to connect with inner selves. The Place has become a popular tourist place and they also allow visitors inside the institute. Patanjali Yoga peethas is the Best place for ayurvedic treatment for many dieses. Both places of Patanjali Ayurved are allowing visitors inside and really worth visit. The palaces are magnificent. Not only is there such beauty, there is the history that adds to their attractiveness. The landscape seems magical and what a great place to visit. Good information about Haridwar. Thanks for the effective information about, Haridwar. If you have any requirements for car rental in India then you can book through our website.